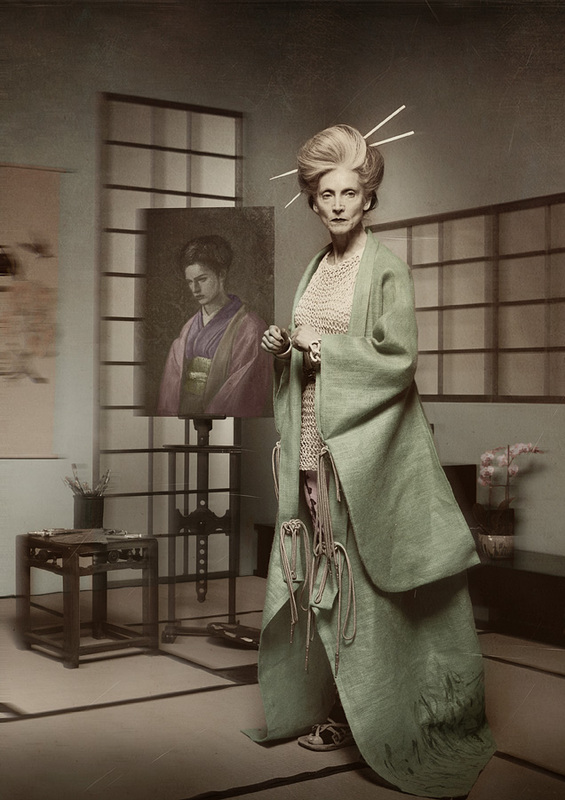 These images are part of a photographic novel… a limited-edition book that will be introduced at Tokyo Photo in September 2013. The story unfolds… A young woman with a fan in her hand waits at the station – just as she did yesterday and the day before and every other day, for years. 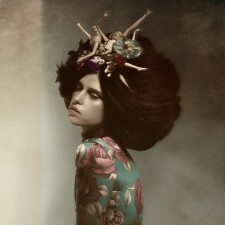 This is Hanako, a geisha. Some years ago she fell in love forever with Yoshio, as he did with her. When they had to part, they exchanged fans – as a promise that they would see each other again. Yoshio has gone missing, and so Hanako sits there at the station, no longer able to perform as a Geisha, waiting patiently for her lover’s return. Her waiting has left her increasingly detached from the world, and the world regards her as mad. 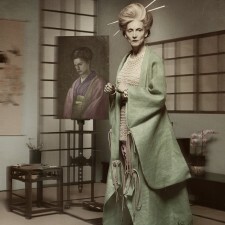 Jitsuko is a spinster, a bitter, unmarried painter who has never known love. She buys Hanako from the Geisha house, then keeps her in her home, and preserves her as the bearer of all her own unfulfilled desires. 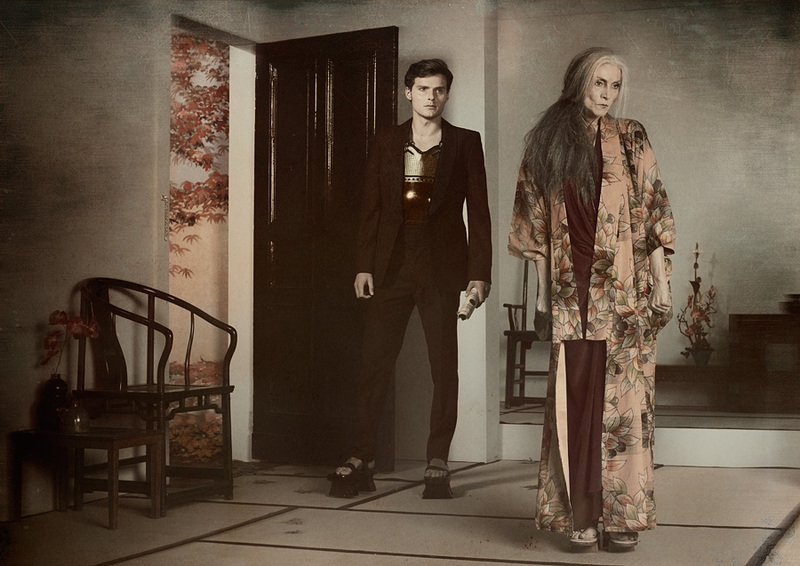 Inevitably a newspaper article appears about the beautiful but mad Hanako who spends her days waiting, and Yoshio suddenly turns up at the house of the two women, intending to be with Hanako at last. A struggle develops for Hanako’s happiness between Yoshio and Jitsuko, but when Hanako finally sees Yoshio… she no longer recognizes him. 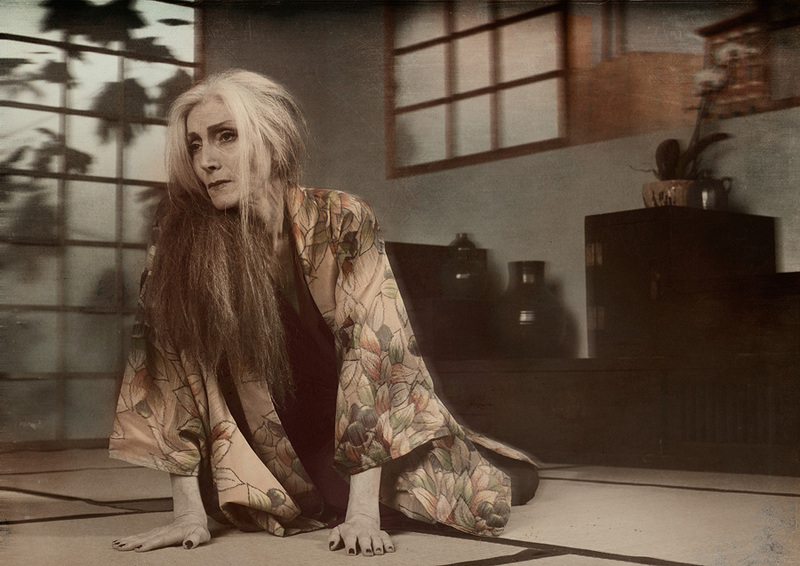 Hanjo is a photographic homage to Yukio Mishima’s adaption of the 15th Century Nôh play. Nôh is an opera form unique to Japan where it flourished in the 14th and 15th centuries. 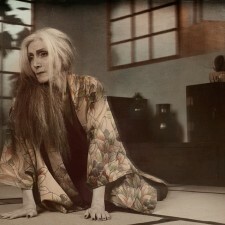 In most Nôh plays the lead character is either someone who has died or a woman who has gone mad. These characters exist in an alien world from which they descend into the reality of our world in search of their soul’s salvation, and converse with a person living in the real world. Nôh drama is other-worldly, like a dream. All the sets were built by the artist and his team. 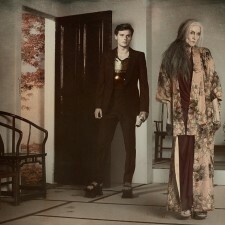 Most of the clothing was created for the project, as were the decorative set-prop items such as paintings, backdrops, tapestries and floral arrangements. 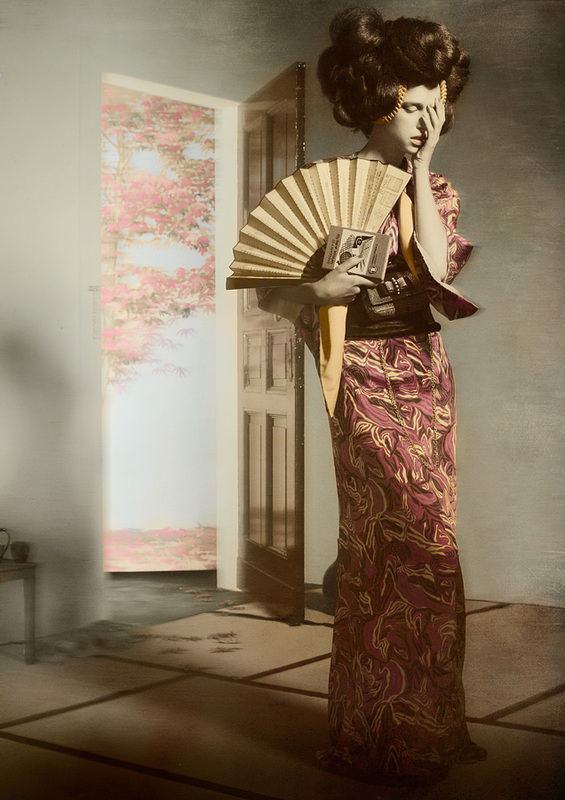 Yoram is represented by the Galerie CAMERA WORK in Berlin, and will be showing the completed Hanjo for the first time at Tokyo Photo Art Fair in September 2013. The hand-bound photographic leporello book to be introduced in Tokyo will be a highly limited edition of 25, designed by the artist in conjunction with the publishing house VERVAIS, and is incased in a unique wooden box. Continuing the visual language, the physical presentation merges contemporary design with traditional Japanese aesthetic. The final box advances to an Objet d’art. 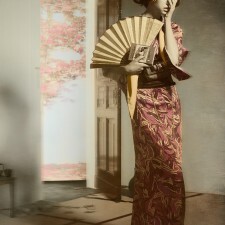 The image treatment is a reference to Meiji Era 19th Century hand-colored Japanese photography. 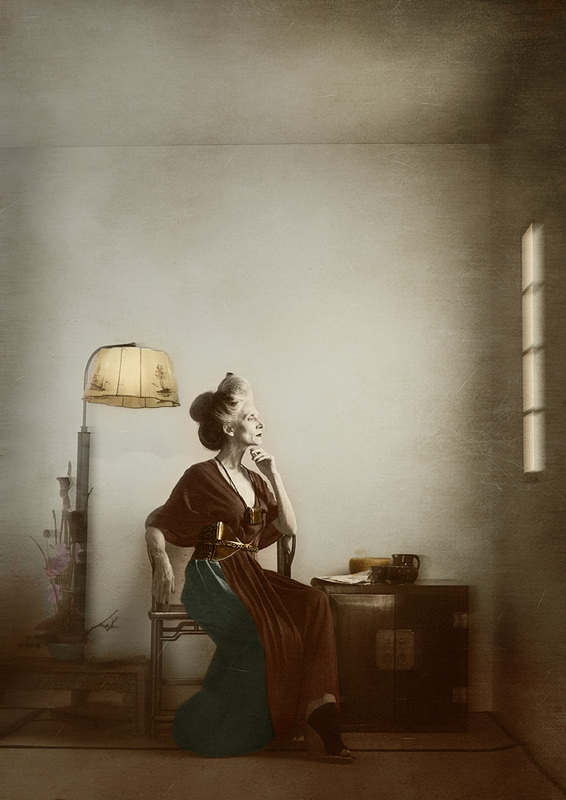 Yoram Roth is a fine art photographer living and working in his hometown, Berlin Germany. 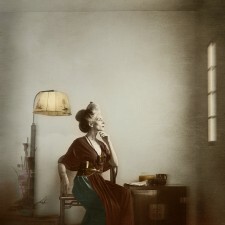 Roth creates fine art images as well as photo book projects. 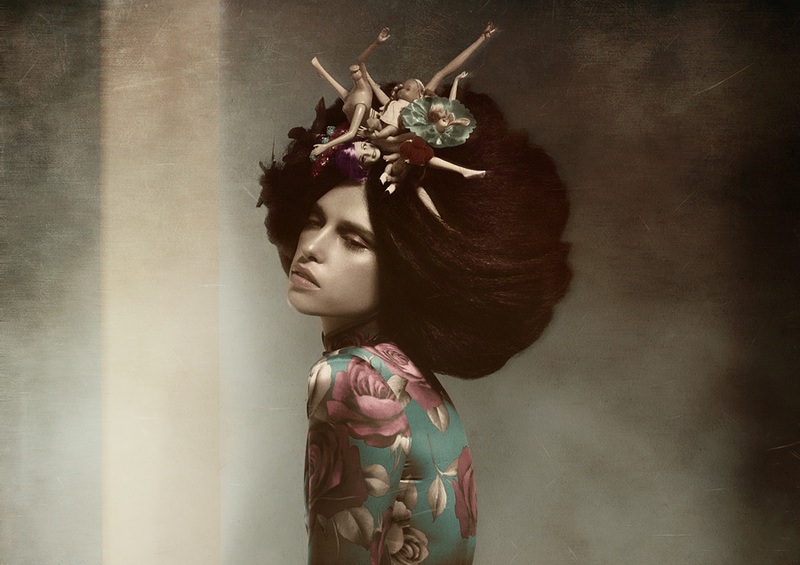 His work utilizes the language of fashion photography to play with story elements, and to engage the viewer in images that require a level of personal interpretation. Very nice series of photographs!